This week on The Webby Podcast, we break down this year’s Webby Winners in… Podcasts! 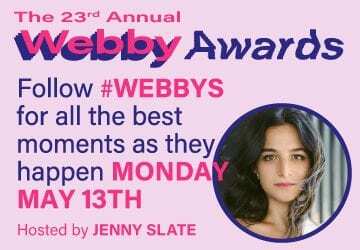 The Winners for the 21st Annual Webby Awards are announced today! And this year, we’re thrilled to honor Podcasts for the first time with a dedicated suite of categories. This week on The Webby Podcast, we listen to and discuss some of our favorite winners from this year. From Missing Richard Simmons to Revisionist History with Malcolm Gladwell to Still Processing and Another Round, today’s most popular and beloved shows came out on top in this year’s competition. In Episode 6, Executive Director, David-Michel Davies sits down with Webby Awards Managing Director, Claire Graves and Executive Producer, Steve Marchese to discuss and listen back to the year’s best digital audio.